Gone Mother is a book with a very interesting twist. And yes, it is a gripping tale because it kept me hooked till the end. I finished it in one sitting and that too, without skipping pages. I didnt pay attention to the full stops or chapter-scene separators because the narrative had a smooth flow. Karin surely knows how to engage a reader with her vivid imageries. I must admit, as I neared the ending, my heartbeats had increased due to curiosity. Alice is definitely a plucky woman and a lucky kid. A lucky female child would be more appropriate. Karin has subtly highlighted the issue of child abuse. Yes, it is sad but true, child abuse exists in every society. And what is worse is that the paedophiles and predators are generally people known to the innocent victim. These abusers are psychologically sick and take out their frustrations on hapless children. Besides, lack of awareness and trusting the wrong person by parents does allow such abusers to escape unscathed, unnoticed. I am a parent with daughters, and this book gave me goosebumps. I have always been extra-careful when it is my kids, but now my safety concerns for them has increased double-fold. 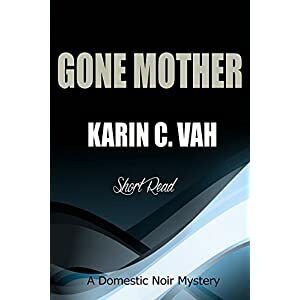 The best thing about this book is that Karin has not gone over the top in her descriptions, has used simple language and an uncomplicated plot. And yes, the storyline is gripping without gory details and epitomises quality in brevity. To sum up, the book is definitely worth reading and re-reading to affirm that abusers of children look just like normal people. It is only when they are caught or likely to get caught that their vicious criminal nature emerges. P.S- Karin, your book will definitely force people to introspect.